Guide to Earn Money with Survey Sites: Welcome! 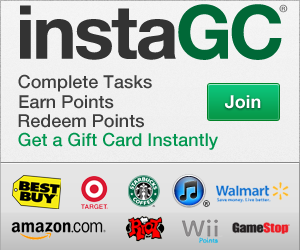 InstaSwagCash is a blog dedicated to helping those starting out on survey gpt sites like instagc, swagbucks, and prizerebel, so that they can quickly earn extra money from home completely free, and with no experience needed. This site is meant to be a guide that can financially help those that are unemployed, disabled, college students, retired, or stay-at-home parents. Sign up now by using any of the links in the sidebar on your right hand (scroll down on mobile devices). They are ranked based on which one earns us the most money at this moment, and will be updated to reflect any changes. To see an entire ranking of all the sites that I've tested and used myself to cash out at least once, go to My Survey Site Rankings. We will do our best to post easy crediting offers and include tips on getting them to credit on the "Offers Crediting Now" page located in the navigation menu above. You may also be interested in our "Recommended Devices" page, in order to see the best budget devices that work for us, such as our newest additions, the Motorola G4 Play and Fire HD 8 Tablet. 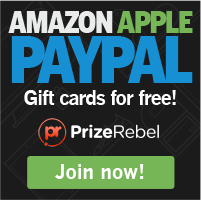 If you are starting out, check our beginner guides and daily routines also in the navigation menu above so you can follow us and earn a combined amount of $100-$450 dollars per month. Here is the breakdown for my 2016 yearly total earnings! This is giving me a yearly total of $1,911!